In addition to being a knowledge addict, I am a horizontal organizer. …the problem is, the process almost never finishes. Or, as someone once said, I would be a procrastinator if I could ever get around to it. Which leads to “my” garage (in all honesty, my wife will not let me say “our” garage –it’s all on me). I served for over 23 years on 3 different church staffs. During that time, I accumulated, created, and mostly saved a lot of resources including books, notebooks, workbooks, lesson plans, sermon notes, leadership training materials, etc. Upon leaving the church staff vocation and becoming a church consultant over 9 years ago, all those resources came home to reside in our garage. They were stored in cataloged (for the most part) boxes – over 40 of them, in case you were wondering. From time to time, I would venture out into the garage to search for a resource that would help with a consulting project. Over time, those trips became less frequent, and the resources just sat there. For some reason, at this time and season in my life, I have begun a summer project to reduce a vast amount of the stuff in my garage, with an eventual goal of putting the family car in at night (I’ve read somewhere that’s what garages are for, but I have no actual working knowledge of that in 33+ years of marriage). A portable storage unit sits in the driveway, and it has become my sorting/storing/waypoint for stuff on the way out of the garage to a final destination – the recycling center, Goodwill, anyone interested in church-type books, or as a last resort, the dump. Pause that train of thought for a minute; I want to hook up another car and redirect you. 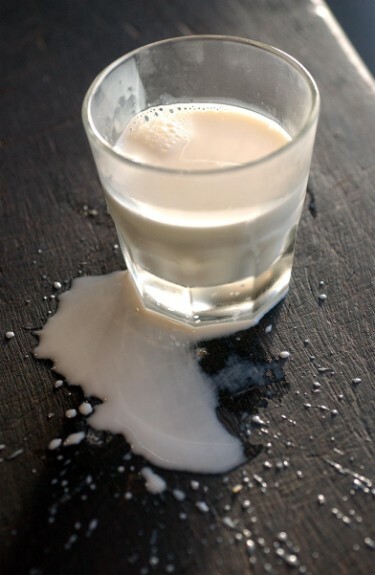 Don’t Cry Over Spilt Milk Because the Glass is Still Half Full. Your last failure may be part of your next success. The fastest, most profitable innovation opportunities could be right in front of you, yet unnoticed. Uncovering your hidden assets unlocks new opportunities because virtually all innovations are linked to other inventions, successful or not. Seeing new value in old resources just requires a little skill and motivation to gather knowledge from diverse sources, then figure out how it might be put to new uses. It’s time to unearth old notes from previous development projects. Are there innovations or ventures that you started to work on and then abandoned for some reason? Do an “idea audit” and see what’s in the back of your filing cabinet or closet [or garage]. It’s time to reassess – and see what you can uncover that’s worth revisiting. My summer cleaning project just took on new meaning. 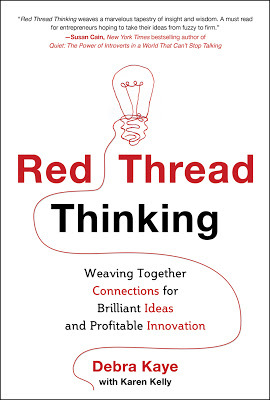 This entry was posted in BookNotes, Innovation and tagged Debra Kaye, Glass Half Full, Innovation, Karen Kelly, Red Thread Thinking, Spilt Milk. Bookmark the permalink.